Can I go before I finish high-school? No, you need an official high school diploma to attend university in the US. Do I need to be finished with high school to apply for a school? The minimum requirement for attending a university, is to have passed all classes at high school, and received an official diploma, however, one can begin applications, even though one is not finished yet. Does it matter what courses I take in high school (e.g. Advanced math vs. Normal math)? It will not matter for your application to a university, but it is recommended that you have a solid background in certain subjects for certain degrees. For example, if you want to pursue an engineering degree with heavy math subjects, it would be beneficial if you have experience from advanced math subjects in high school. How difficult is it to get accepted at the best academic schools (e.g. Ivy League)? To get accepted to the best schools you need very good grades in high school, very good test scores and the ability to compete at their respective sports team if you are an athlete looking for a scholarship. Each school is different. CSUSA have, and has had, many student athletes attend some of the very best academic schools and several Ivy League schools. How should a Letter of Recommendation look like? This is something we will assist you with when you get to that part of the application process. What are the minimum requirement for being accepted at a school? The absolute minimum is to get your diploma from High school. Other than that, the higher grade average you have, the more schools you will qualify for academically. Schools will have different requirements, both for average grades from High school, but also test scores. The purpose of the ACT test is to measure a high school student's readiness for college, and provide colleges with one common data point that can be used to compare all applicants. The ACT consist of a four hour long test involving Reading, English, Math and Science. The ACT is comparable to the SAT with a few differences in the format. Schools will have different ACT requirements for acceptance. The SAT test (Scholastic Assessment Test), is a standardized test widely used for college admissions in the United States. All student athletes from all countries must take the SAT or the alternative ACT. The SAT consist of a four hour long test involving Evidence-based reading (English), Math and Writing. Will credits from my high school be transferred to my university? This varies, while some schools accept and transfer credits from high school into college, others do not. Can I change my major during my time at college? Yes, you can. Depending on how many credits/semesters you have completed you still have the flexibility to change your major without losing progress towards your degree. Usually this is something you can do during your freshman/sophomore year of college. Can I use my college credits towards university back at home? Yes you can, but bear in mind that the college credits needs to be within the same direction of studies as you plan to go back home. If you transfer back to a University back home after a year, your General Education classes from college most likely won’t be transferred, as they don’t correlate with the requirements for the degree back home. Do I get any work experience (internship) during my time at college? Yes you can. Almost all schools have good relationships with companies and former students who are professionals in the area around the school. They will create an environment where you can get many internship opportunities. Some schools even require an internship in for some of their degrees. Do I have to be in college for four years? You don’t have to be in college for four years. You can, at any point decide to leave the U.S. and return to your home country, without being required to refund any type of money to your school, however, most often you will not get much academic credit back to your home country if you don’t graduate and get your bachelor degree. Do you have to start the August semester or can I start in January (Spring)? The schools in the US have students start in both the autumn (Fall) semester and the spring semester. Academically speaking, you will not notice a difference if you start in August (Autumn) or Spring (January) because you will take exactly the same subjects. If you start in the fall and study over a standard period of four years, you will receive your bachelor degree in May, if you start in January, you will complete a bachelor degree in December. For example, soccer players are most likely to start in August because the season is in the fall, so it also depends on when the season is for the sport you are playing. How are you graded at American Universities? The grade you receive in a subject will be determined on the basis of several things; weekly homework/projects, tests, and presentations. Part of your grade is also that you actually meet up for lectures and contribute in discussions by showing interest in the subject. You also have two major exams, one halfway in the semester called mid-term exam, and one at the end of the semester called the final exam. These are more important than smaller chapter tests. Your grade is based on all the work done. How does a school year look like? The school year is usually divided into two semesters – fall semester and spring semester. Each semester is typically about four months long (mid to late August to mid-December and mid-January to mid-May). How is the structure of the American college system? The first, second, third and fourth year of college are called the following: Year 1 Freshman year - 0-30 credits (credits) Year 2: Sophomore year - 30-60 credits (credits) Year 3: Junior year - 60-90 credits (credits) Year 4: Senior year - 90-120 credits (credits) A bachelors degree from the USA consists of many different types of subjects. This is a big difference from most universities in the world where students go straight into a specialized program. The different types of subjects one must take is the reason why it takes four years, and not three years, to complete a bachelor. Regardless of which school you are studying in the United States, or what you choose to study, the first two years will consist of many different general types of subjects. Subjects in the United States are divided into four categories: 1. General Education courses - these are a requirement no matter what study program you choose 2. Major courses - Specific subjects for the field of study you have chosen to take 3. Minor courses - Specific subjects for "minor" that you often need. 4. Elective courses - optional subjects you can choose next to your field of study. How long does it take to get a bachelors degree in the United States? The normal timeframe for a bachelor's degree in the USA is 4 years (120 US credits). If you take 5 subjects (worth 3 credits) per semester for 8 semesters (ie 4 years) you will, therefore, need to take 15 credits per semester. You then complete 120 credits in 4 years. If you choose to take more than 5 subjects per semester or take some subjects during the summer, you can complete a degree of 3.5 or 3 years. In the semester-system, one semester is 15 weeks long, including a one-week Fall/Spring Break. In the quarter-system, one quarter is 10 weeks long. How many credits a semester do you need to take? You must take a minimum of 12 credit hours each semester to maintain your eligibility as a student-athlete and to maintain your student-visa. To complete your degree requirements within four years, you must average 15 credits per semester (5 classes) in most academic programs. Is it positive for my athletic opportunities to be good in school? You can be rewarded for doing well in school (both in high school and while at college), both in terms of what schools you can get into and because you can qualify for academic scholarships. There are also different academic requirements for the different athletic divisions. Coaches are always looking for athletes that are also good students. What are the academic requirements for a student-athlete? The academic requirements vary a lot from school to school. Some schools require very good high school grades and very good test results from SAT/ACT/TOEFL, and some schools don’t even look at those. The better test results and grades, the bigger the chance of receiving academic scholarship. To be eligible in NCAA Division 1 & 2 and/or NAIA, you need to have a minimum GPA and SAT/ACT score. For those student athletes who don’t qualify for that, a so called Junior College is an option. After two year at a Junior College you can then transfer to an NCAA/NAIA school. What can I study at college in the US? In the United States you can study almost anything you want! Once you have been accepted, you are free to choose from all the education areas (majors) the school offers. We can also advise on what is best to study to achieve your career goals. A major advantage of the American education system is that students do not need to apply for admission to a specific field of study. Here is a small overview of the possibilities: ART: Graphic Design, Film, Music, Theatre, Art, Interior Design, Fashion, Photography, Art History etc. BUSINESS: Accounting, Administration, Management, Marketing, Economics, Entrepreneurship, Finance, Human Resources, International Business, Sports Management, Sports Marketing etc. COMMUNICATION: Journalism (News, Broadcast, Digital, Photo), PR, Speech Communication, Public Communication, Sports Communication, Media etc. COMPUTER SCIENCE: Computer Science, Information Technology, Computer Engineering, Information Management Systems, Programming etc. EDUCATION: Veldig mange forskjellige studieretninger innen læreryrke du kan velge fra. ENGINEERING: Bio, Civil, Industrial, Mechanical, Electrical, Chemical, Mining, Environmental, Engineering Management, Petroleum Technology etc. HEALTH AND MEDICAL: Nursing, Sports and Health Sciences, Exercise Science, Kinesiology, Pre-Medicine, Pre-Physical Therapy, Nutrition, Healthcare Administration etc. LAW AND SOCIAL SCIENCES: Pre-Law, Criminal Justice, Psychology, Sociology etc. LIBERAL ARTS: Anthropology, Archaeology, Developmental studies, English, Foreign Languages (English, Spanish, French, Chinese), Geography, History, International Relations, International Studies, Philosophy, Gender Studies, Political Science, Religion etc. SCIENCE AND MATH: Astronomy, Biochemistry, Chemistry, Biology, Environmental Studies, Geology, Mathematics, Physics etc. What is a major and a minor? A major is the field of study you choose to specialize in (Yur primary education). This is the program you want to get your bachelor in; For example, you can take a major in business management, or a major in "psychology." All college students must at one time decide what major to study. A minor is a secondary choice in your studies, or a specialization after your bachelor. For example, you can take a minor in "sports marketing". Not all schools require a minor, but it may be useful when applying for a job to show you have other areas you have studied. Am I allowed to take a Gap-year? Yes, international students are allowed a Gap year before starting college in the US as a student-athlete, if your timeline is correct. Meaning, you have graduated high school on time with your peers. Are my sports related expenses paid for by the school? Yes, all costs related to your teams travelling will be covered. You will also receive training gear. Are there different divisions in college? Yes, there are 5 major divisions in college sports. NCAA Division 1,2,3 , NAIA, and NJCAA. Are there many fans watching games? This varies from school to school. It depends mostly on how big the sport is at the individual school, and how the school’s sports culture is like. Can I go pro, through the college system? College sports is the springboard to the professional level. Based on the individual’s skills, one can absolutely go pro through the college system. Tiger Woods, Annika Sorenstam (golf), Clint Dempsey, Mia Hamm (soccer), John Isner, Jill Craybas(tennis), Missy Franklin (swimming), Ato Boldon, Gail Devers (track and field) and Michael Jordan (basketball)are only a few of the many examples of athletes who went through the college system. Can I play for my club at home during the summers? This is typically okay, as long as you do not play with professionals. Always check with coach before, as they know best to help you. Can my parents back at home see the game through a livestream? Many schools will have a media department that live-stream home games, and if they do people will be able to watch your games from all across the world. Can my team get promoted or relegated? The way the college sports system works, a team does not get promoted or relegated. How does the conference-system work? The National Collegiate Athletic Association (NCAA) is divided in into three divisions. Each division is made up of several conferences for regional league play. Conferences most often include teams from a common geographic region. You will have both “conference” competitors, and “non-conference” competitors. The National Association of Intercollegiate Athletics (NAIA) has several conferences for regional play, including teams from the US and Canada. The National Junior College Athletic Association (NJCAA) is divided into three divisions. NJCAA contains 24 regions, made up of 1-3 conferences. The California Community College Athletic Association (CCCAA) is a sports association for community colleges in the state of California. Within the CCCAA, there are nine all-sport conferences, two football-only conferences, and three wrestling-only alliances. How is the sports culture? The sports culture in US colleges is one of a kind. There is no other place with a similar interest for amateur sports. Being a part of one of the athletic teams at a college is big time and is something a lot of students dream about. Students at a college will support their school teams the way Europeans support their club teams, and a lot of arrangements are made around the games/competitions to get the most out of the sports. How many days a week do you practice? Practice varies from team to team, but all teams in all sports have at least one day off per week. Typically during pre season practices can be twice a day and during an intense season, for most sports, practices will be once a day, sometimes twice depending on the coach and the sport. Is there any chance to play in the US during the summers? Yes, there are several leagues during the summers where you can play. Your coach in the US are the best person to help you with this. Note that you will have to pay for your own expenses during the summers as that is a time period outside of your studies. Is there any physical therapist available for me to use? All schools will have Athletic trainers/Physios available. They will help treat and prevent injuries at no cost to you as a student-athlete. The amount of full-time Athletic training staff will vary from school to school, but there should be no worries you won’t be well taken care of. What happens if my sports schedule crashes with a class/presentation/exam? You will schedule your classes on times that typically don’t clash with a training or competition. But in the event there is a clash, you are allowed to miss the test/assignment as the professors are aware that you are an athlete and will adapt to make it as easy as possible for you. If you have an exam when you are away travelling you will take the exam before or after the other in your class. Am I guaranteed a school and a scholarship? No, due to NCAA rules we can not guarantee you that you will receive a school nor a scholarship. We do a thorough job in evaluating your sporting and academic background and will not offer our service to someone that is not a suitable candidate to become a student-athlete. We have been helping over 2000 students for over 10 years and have a very strong track record. Can I pay for your services after I am secured a school? Because of NCAA legislation (Bylaw 12.3.3.1), as you can read below, no recruiting service is allowed to offer guarantees on scholarships and placements of students. A recruiting service cannot charge fees as a result of their work. Thus, all fees must be agreed upfront between the recruiting service and the student. Do I need to be an athlete to get help by CSUSA? You don’t have to be an athlete to get help from CSUSA. 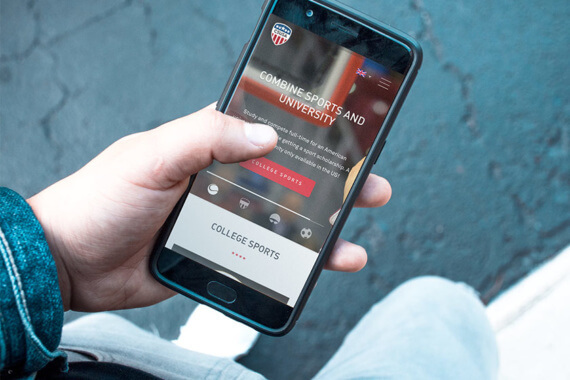 You will not qualify for athletic scholarship if you are not an athlete, but you certainly have the option of studying in the U.S. and we will help find the perfect school for you. If I decide to do a transfer, will you help me again? If you want to do a transfer we could definitely help. It will be a new process, so there will be a new «transfer fee» involved, but with our help we’ll make sure you find the perfect fit the second time around. Is CSUSA’s job done when I start at my school, or do you keep track and follow up throughout the years? We will follow up and be of help during your time in the U.S. We will also follow your team and in many cases help more CSUSA athletes to your school. You will also get great support and follow-up from your school during your studies. Is it possible to have a payment plan? Yes, this is possible as we give you a couple of alternatives in terms of payment plans. This is sent to you in the official offer you receive after meeting with a CSUSA representatives. What do you recommend me to do in order to maximize my opportunities and help you do a good job? Our job is to assist and guide you through the process. To maximize your opportunities: Follow our guidelines, exactly as they are stated, and fulfill the tasks given to you as soon as possible. Included in our service is everything involved in the process of getting you to the US as a student-athlete. We will help find the ideal school for you when it comes to the academics, sports, location and finances. 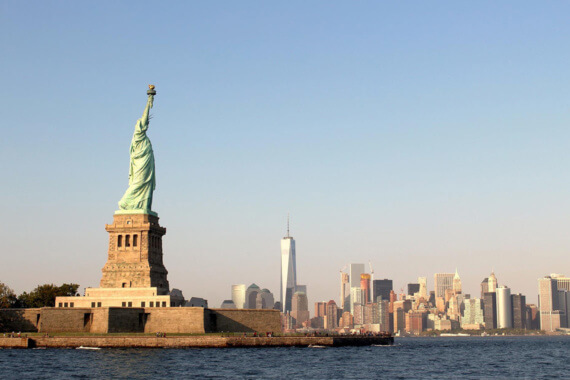 We will guide you through the burdensome amount of paperwork required to travel to the US as a student and will be a sparring partner for you for your whole college career. Why should I use CSUSA’s services? By using CSUSA’s services you give yourself the best chance possible to find the ideal school and total package for you. With over 10 years of experience, CSUSA have an extensive network and great knowledge of the college system and can give you the best help and guidance possible. Will CSUSA assist me if I want to pursue a master’s degree or get a job after my studies? We offer a service called Pursue Education post college. We have previously helped several of our clients to further their education through a master’s degree. Will your service fee cover my expenses, such as tests? Our service fee will not cover any expenses related to the process such as tests, embassy fee, school application fee, flights or other related expenses. A scholarship is money awarded to students attending universities in the United States with the purpose of reducing the cost of the education and living costs. A scholarship varies from 1-100% of the school's total costs and may cover tuition, apartment and food. A 100% scholarship willcover your costs for tuition, apartment and food, also known as a full ride or full scholarship. What different types of scholarship are there? Can you combine them? There are many scholarships available! The typical ones are; athletic-, academic- or international scholarships. You can combine scholarships in order to get the highest possible total. Are there scholarships in all divisions? Athletic/sports scholarships can be given in all divisions except NCAA Division III. It is possible to receive academic scholarship in all divisions – how much you can get will vary from school to school. It is also possible to receive international scholarship in all divisions – this also varies from school to school. Can my scholarship increase after a good season? It depends on which division you are playing in, in some division good performance on the field can increase your scholarship. Are there any scholarships from home I can apply for? This depends on what country you live in. It is always possible to sign up with a friend and prioritize going to the same school. We can’t guarantee that you will both receive the same scholarship offer and we recommend that you are also open to go separate ways in case a school with the perfect match wants to invest in you, but can’t invest in your friend. Do I have to live at campus? This varies from school to school. Some colleges require that you live on-campus your freshman year, while other give you the option to choose from your first year. A normal day will consist of training (2-3 hours per day), lectures (3-4 hours per day), self-study, and other activities such as hanging out with teammates, eating dinner, socializing etc. As a college athlete you are busier than a normal student, but you will still have time to do other things if you plan your days properly and manage your time well. How does a school find a good roommate for me? Your coach is usually involved with rooming, which means that you usually share room or apartment with someone from your team that is also a freshman. How is everyday life as a student-athlete? When you are in season you have 6 days of training (inc. match/competition) per week. It is required to have one day off, but sometimes you train two sessions a day. As a rule, you have lectures for approx. 13-15 hours per week. In addition to this, you have to study on your own and prepare for the classes. You will also be busy with training and competition in the sport you are doing. They are busy days that require you to be dedicated. You do also get the time to be social and hang out with friends. If you fail some tests or are behind the school work, you will not participate in competitions. NCAA. NAIA, and NJCAA have rules that ensure that student-athletes must deliver in the classroom to play. There are extra Study groups, private teachers, and extra help that are offered to student-athletes completely free of charge if desired. This is one of the many advantages of being a student-athlete. The rules of college law ensure that the balance between the academics and athletics is maintained and supported by the staff at the school. The sports department also ensures that student-athletes receive medical treatment and good follow-up. Injury prevention and rehabilitation also important elements. Most teams have their own physiotherapist and strength coaches available at their disposal. This is of course also free of charge. How long are the different breaks/vacations, and when are they? College terms are mostly broken into 2 sessions. Spring semester: often starts in early January and continues till the beginning of May. You will have a week vacation in the beginning of March month, called Spring break. Post final exams in May, you have a summer break. You are then off until beginning of August, ca 3 month vacation. Fall semester and starts in the end of August until beginning of December. You will have a week vacation, called Fall break during this period. Post finals in December, you have a month vacation during Christmas and New Years before the start of Spring semester. How many students attend the universities? The size of American schools varies from around 700 students to more than 60,000 students. The campuses with many schools are almost like small towns, and there are restaurants, shops, and even hospitals on some campuses. The advantage of the smaller campuses is that you are not just a drop in the ocean and it becomes easier to get to know people. Is it cheaper to live on campus, than off-campus? Most schools will require you to live on campus for your freshman year. Living off-campus can often be cheaper, depending on what place you choose to live and how many you choose to share it with. Is the practice included in my schedule? Your athletic advisor will know when your practices are during the week, and you will together make a schedule that does not clash with your practice times. What is it like to be a student-athlete? The United States is the only country in the world where you have the opportunity to combine your sports with a higher education and to fund your education with the help of your talent. There are big differences when comparing college sports in the United States with universities in other countries, where sport is more a hobby than a serious level of competition. In the United States it is prestigious to represent your school as a student-athlete. You represent the values and history of your school. You have a great responsibility for the students at the school and the local community to perform and be successful. It's great prestige to be the best team and to beat their rivals. The atmosphere on the campus and the passion of the school community make it very clear that student-athletes are the stars on campus! School and sports go hand in hand. Training and competition is always arranged around the school's schedule, and you do not have to worry about a clash between studies and sports. Coaches and professors work towards the same goal - that you will be as prepared as possible in both areas. As a student-athlete you will be very busy with studies, training, competitions against other schools, and other activities/events on campus. You will travel a lot for matches/competitions, get a lot of experience, and see many places and parts of the United States. Enjoy it while you can - for four years fly by quickly. Being a student-athlete is special and a wonderful feeling you can look forward to being a part of! It depends if you live on or off campus. If you live on-campus, you will most likely eat in the school cafeteria or in restaurants on the campus area. If you live off-campus, you will more likely cook your own food or eat at any place you like. You can either live on- or off-campus. The school always has an area called campus where your classes and dorms are, this is the “school area”. A school usually expects you to live on-campus your first year to get in to the rhythm of college. During your years in college you usually stay on campus your first years and then end up living in your own apartment off-campus. Will my team travel a lot during the season? It will depend on where your school is located, and what college conference your school is in. Half of your games/competitions will usually be away and most games/competitions will be in your region. Occasionally you might have longer away trips with a layover in a hotel. Teams usually travel by bus, but in some cases your team might fly for games. Your sporting talents and academic level can give you scholarship opportunities that will help make an education in America affordable for you. Our college-recruiting process consists of five steps as explained below. In short summary, we help you to the States from A-Z and will be your sparring partner until you complete your degree. There is no better place to combine higher education with sports than in the United States. Learn more about why you should become a student-athlete and how you will benefit!